The Jordan Brand vowed to give their followers a lot of new models and retro shoes to choose from and another edition of the Jordan BCT low is included in the lineup for May 2011. The Jordan BCT Low will come out in White/Midnight Navy – Metallic Silver colourway, which is arguably one of the best colourways of this shoe. The shoe that is designed for playing, cross-training, and casual uses as well will surely be a hit next month! Start saving $85 now and grab one next month! Watch Out! 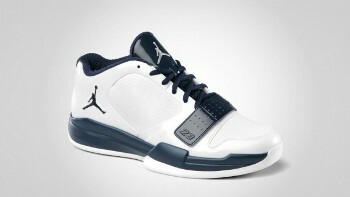 Jordan Prime 5 is Coming This Month!